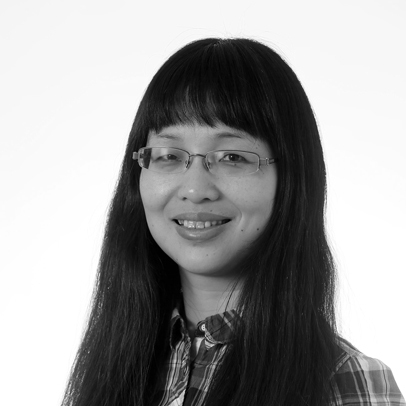 Dr Leishi Zhang is Senior Lecturer of Data Intensive Systems at Middlesex University, London. Before joining Middlesex, she was a post-doc research scientist at Chair of Data Analysis and Visualization , University of Konstanz, Germany (2010-2013), working with Professor Daniel Keim and his group on a number of visual analytics projects . She was also a post-doc at the Computing Laboratory, University of Kent, UK (2007-2010) working with Dr. Peter Rodgers on the EPSRC funded project Visualization with Euler Diagrams . Dr Zhang received her Ph.D. from Brunel University, UK, under the supervision of Professor Xiaohui Liu. The title of her PhD thesis is Interactive Visualization for the Dynamic Modelling of Time Series Gene Expression Data. A major theme Dr. Zhang's research is to develop data analysis and visualization techniques for extracting and visualizing patterns and relations in large complex data. There are three main strands to Dr. Zhang’s research: visual analytics on different application data, visualizing complex set relations and interactive visual projection techniques for analyzing patterns in high-dimensional data. Alsufiani, Kholod and Attfield, Simon and Zhang, Leishi (2018) Towards an instrument for measuring sensemaking and an assessment of its theoretical features. In: Fourth International Conference on Emerging Research Paradigms in Business and Social Sciences (ERPBSS-2018), 16-18 Jan 2018, Dubai.